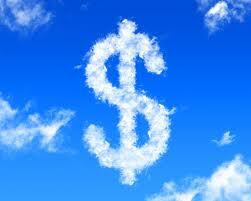 Is your fundraising management in the cloud? Cloud computing refers to applications and resources you use through the Internet, like Webmail. These are hosted and run by servers connected to the net–servers you don’t have to host or support. Fundraising in the cloud has taken off in the last few years, with nonprofits using cloud-based customer relationship management (CRM) systems to find and manage donors. CRM applications that run in the cloud are the cheapest, safest, and most efficient way to streamline fundraising operations so that all your information is accurate, up-to-date, and smoothly integrated with your fundraising operations. The Alliance is excited to welcome Tal Frankfurt from Cloud for Good to this year’s annual conference. Cloud for Good is a Memphis-based national consulting firm that helps nonprofits create strategic cloud-based solutions, including CRM. Frankfurt will present on how to use CRM databases to build fundraising capacity and get better results from your efforts. Cloud for Good specializes in helping nonprofits implement SalesForce, a CRM system that offers a version for nonprofits to track constituents, partners, donors and their donations, activities, volunteers, and more. SalsaLabs/Democracy In Action is another option, mostly for small organizations focused on social change. Many other systems are available, and customizable, for all kinds of nonprofits. CRM can help your nonprofit target potential donors, establish plans for contacting them (not too much or too little), and convert them into actual donors. CRM systems keep track of all your conversations, interactions, and results. They help you develop channels for crafting specialized messages for different audiences, and for engaging people to do more—call their Senators, attend an event, read your new report. They tie into your website and link to social media avenues like Facebook and Twitter to help increase the reach of your efforts. They provide extensive analytical capabilities—you can chart the success rate of your campaigns and learn what worked and what didn’t. And they allow everyone in your organization to access a unified, continually updated view of donors and potential donors. Have a recommendation for a CRM system you use and like? Want to know more about working smarter and faster through CRM in the cloud? Don’t miss our annual conference on May 2–register now! We use Little Green Light at the Center for Transforming Communities. I have used several others (blackbaud and sage fundraising 50) as development director of other agencies. I was looking for something that was functional, low cost, easy to use and maintain (since we are a small staff). After shopping around, we decide Little Green LIght. If you’d like to know more, I’d be happy to speak with you and give you a demonstration. They have a referall program and we have elected to splt the referal fee so that both our agency and the new agency-user can benefit. Thanks–It’s great to hear about another cloud-based fundraising tool. And you hit the nail on the head–if only all these programs were functional, low-cost, and easy to use! Thanks for the mention! I would be more than happy to answer any question about the cloud or Salesforce.